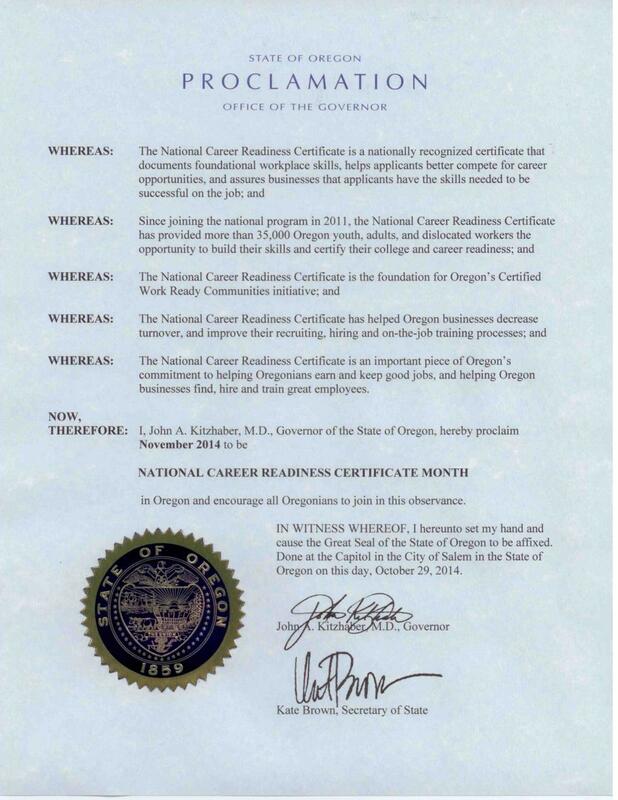 Governor Kitzhaber’s office released the National Career Readiness Proclamation for November in Oregon! Governor Kitzhaber has signed a Proclamation to encourage all Oregonians to participate in National Career Readiness Certificate month in our state. We encourage you to participate in earning an NCRC and to watch the progress across our state as we continue toward our goals to become ACT Certified WorkReady Communities. Watch Lane County’s Progress here.